If you follow along with us then you have probably realized by now that WE LOVE SLIME! 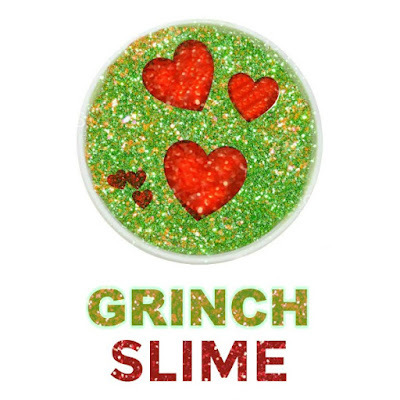 Today, we are sharing three fun holiday slime recipes. This gingerbread slime made my entire home smell AMAZING, and the kids had so much fun! 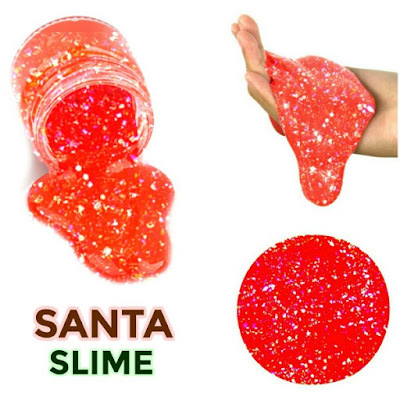 Also be sure to check out our Grinch slime & our Santa slime. This is by far my favorite slime of the three we are sharing today. It smells so wonderful and lends itself to all sorts of play. Are you ready to make your own Gingerbread slime? 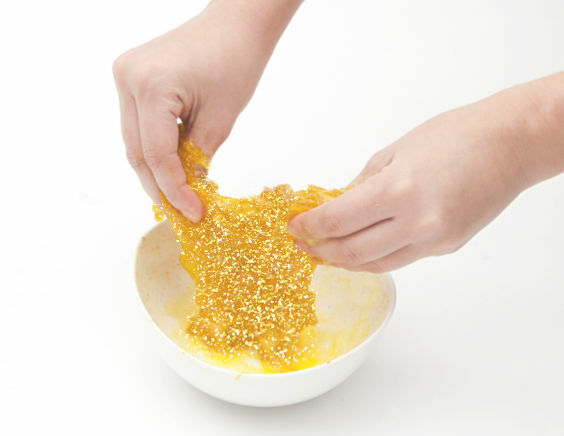 Begin by pouring two cups of yellow glitter glue into a large mixing bowl. 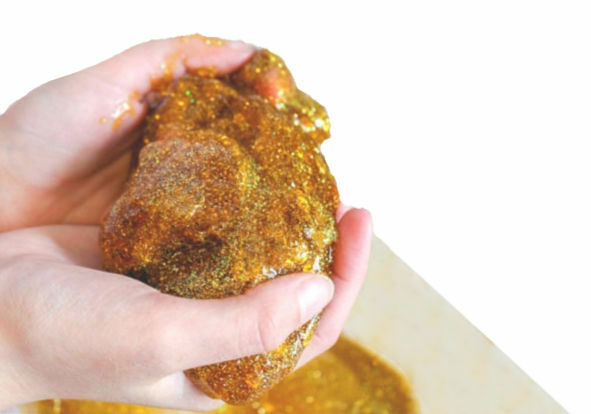 Add extra glitter if desired. 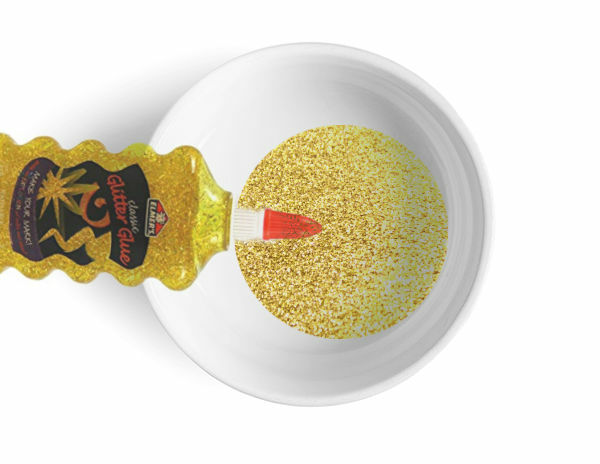 Add 3-5 drops of gingerbread oil if scent is desired and mix it into the glue. Once the slime is formed remove it from the bowl and continue to knead it with clean, dry hands. 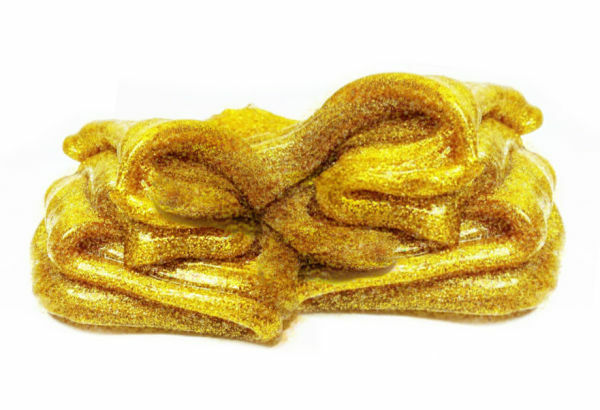 After a bit of kneading you will be left with amazingly fun, delightfully scented gingerbread slime! 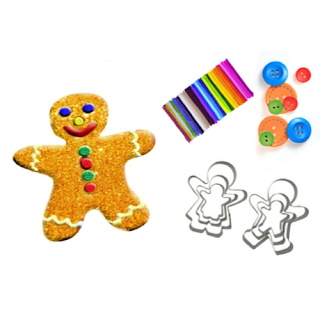 Add buttons, cookie cutters, and creativity stems, and kids will have a blast making oozing gingerbread men! 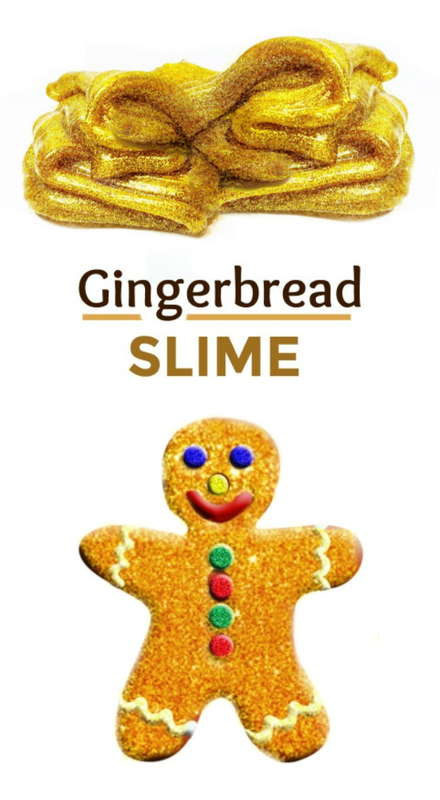 Make "gingerbread man farts"- read this holiday slime post to see how. 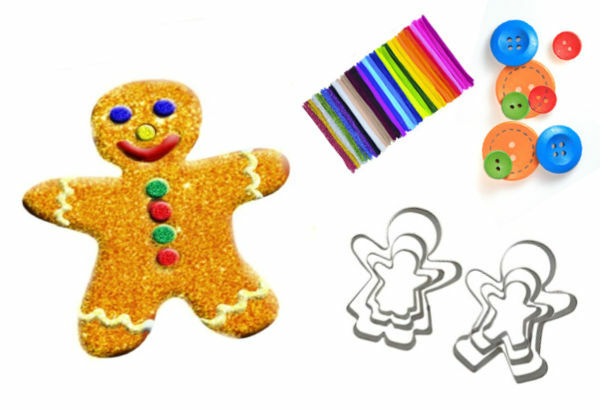 Open up a slimy gingerbread bakery by using cookie trays, cookie cutters, & other kitchen gadgets. 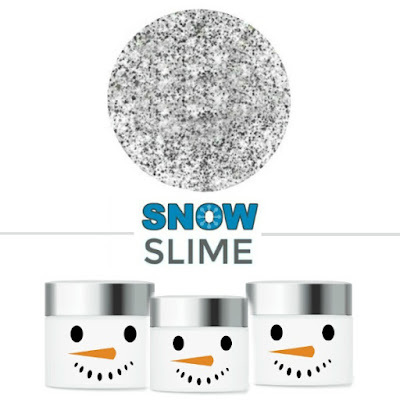 This would also make a super cute stocking stuffer- a container of gingerbread slime and some buttons would surely make the littles smile! 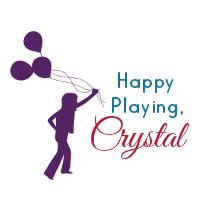 The holiday oil we used we use can be found here.